The dust has settled over yet another transfer window and it’s been a busy time for Süper Lig clubs. But how do the latest moves rank against some of the top Turkish transfers of all time? Former Chelsea frontman Didier Drogba high tailed it out of Chinese club Shanghai Shenhua after only 11 games when Galatasaray snapped him up fast. The Ivorian’s time in the Turkish capital was short but no doubt effective. Drogba linked up with fellow Champions League winner Wesley Sneijder and countryman Emmanuel Eboué to help Galatasaray come to their first league title in four years. This was quickly followed with a Turkish cup win the following season in 2013-14. Drogba also became one of a select few foreign imports to win the Turkish Player of the Year award. No small feat for such a short spell. It’s no wonder that thousands of Fenerbahce fans turned up at the club’s stadium before the Brazilian had even kicked a ball. The diminutive left back was famous for his no nonsense defending and the firepower of his free kicks. Carlos arrived on the back of a La Liga winning season and was without a doubt a superstar signing. He helped the club to two Turkish Super Cup wins and the club’s only qualification to the knockout stages of the Champions League to date. Adebayor may have fallen out of favour in the Premier League but being Basaksehir’s first high profile signing he represents Turkish football entering a new era with the rise of Istanbul’s new boys. Adebayor has so far contributed a number of key goals as Basaksehir look set to challenge the established heavyweights for the top spot in Turkish football. He has since been followed by the likes of Gael Clichy, Demba Ba and Robinho. It took no time for de Souza to establish himself at Fenerbahce after arriving from Cruzeiro in 2004. In his first season he helped Fenerbahce retain the title, and played a part in over 40 goals the following season. All told he left Turkey with three league titles and an effigy of himself erected in the Turkish capital. It’s not often that a player can claim to have a statue of them erected due to their impressive exploits for a single club but Alexsandro de Souza is one of them. Turkey’s prodigal son turned political pariah, Hakan Sukur made his second move overseas when he joined Inter Milan in 2000. Though not a standout success it was his most extensive and most high profile period outside of Turkey. Sukur never really made it outside of Turkish football but each time he returned to his beloved Galatasaray he picked up exactly where he left off, racking up goal after goal, winning trophy after trophy. 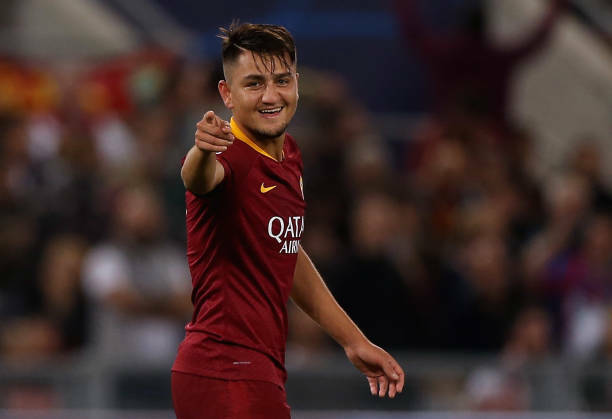 Following a stand out season at Basaksehir, Cengiz Ünder made a move to Italian heavyweights Roma for a cool €13.4 million. Ünder makes our list for two reasons. Firstly because he’s the most expensive Turkish youngster in history. Ünder also represents a new generation of young Turkish hopefuls demonstrating how it’s possible to be recognised in the Süper Lig at a young age and go on to play football at some of the biggest clubs abroad. Ünder has since gone on to help to take Roma to a semi final finish in last season’s Champions League while becoming the youngest Turkish player ever to score in the competition. You might raise a quizzical eyebrow when you see Tosun’s name on the list but bear with us. Tosun’s move to Everton is currently the most expensive transfer in Süper Lig history and rightly deserves a mention just for that. Tosun arrived on Merseyside for £22.5 million Euros after two back to back league titles with Besiktas, helped forward by Tosun’s 41 goals (64 in all competitions). Despite a conspicuous fall from grace, Arda Turan remains the most expensive Turkish player of all time by some margin, racking up nearly €50 million in transfer fees over his career. Turan’s mercurial rise saw him emerge from the youth team to captain Galatasaray at the tender age of 21. After over 100 appearances a move to Atlético Madrid materialised which would be a then record transfer, but it’s more his move to Barcelona that’s got our attention. Turan’s Barça deal is infamous for a number of reasons – all the wrong reasons. Turan’s move once again broke his own record for the most money paid for a Turkish footballer at €35 million. Turan then had to give up 6 months of his playing career before he could appear for the Catalan club due to the club’s transfer ban. Unfortunately he couldn’t replicate his form for Barcelona and returned to the Süper Lig in 2018. The Dutch midfield maestro arrived in Istanbul on the back of increasingly successful spells at Ajax, Real Madrid and Inter Milan, that culminated in him winning the treble in northern Italy. While most big names make their switch to the Süper Lig in the twilight of their careers Sneijder was signed at 28, arguably at the peak of his powers. Quite a coup for Galatasaray. His success didn’t come to an end either, winning two league titles, three cups and three super cups in his five seasons in the Turkish capital. Without a doubt one of the best players to grace Turkish football. Gheorghe Hagi was already regarded as one of the world’s foremost talents through his exploits for Romania in three successive World Cups during the course of the 90s. He arrived from Barcelona at the age of 31 with much of his career behind him. The Romanian wasn’t intent on slowing down though and even snubbed the Premier League for a move to Istanbul. It was to prove the right decision. Hagi helped guide the Istanbul outfit to four successive league trophies, two of them double winning years. Perhaps his greatest achievement was helping Galatasaray secure the UEFA Cup in 2000. Hagi was instrumental as a goalscorer, and leader, and is rightly renowned as one of the club’s legends, perhaps even the greatest signing in Turkish football history.